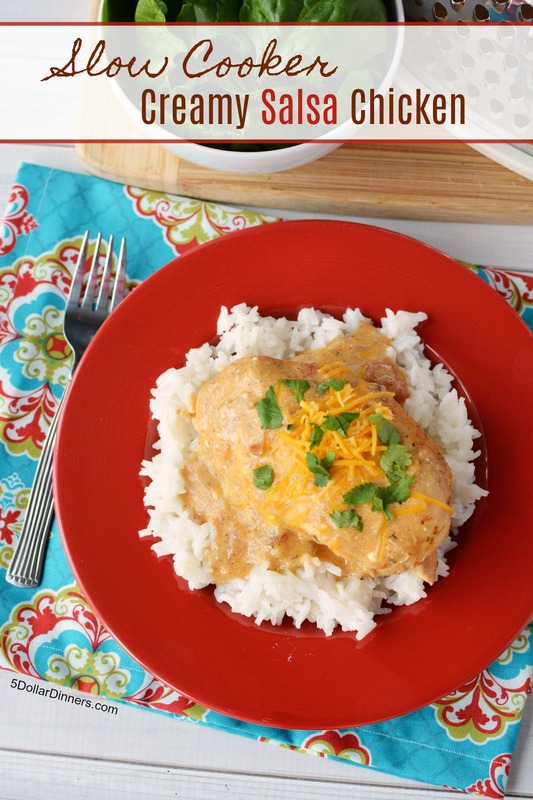 Quite possibly the best slow cooker chicken ever. If you don’t eat it straight out of the slow cooker, it’s also delicious when shredded and used in enchiladas, soft tacos/burritos, hard shell tacos and street tacos. This is literally one of this “winner winner chicken for dinner” meals! Set on low and cook for 8 hours. With 30 minutes, left in the cooking cycle, stir in the sour cream and let finish cooking. Season with salt and pepper to taste. 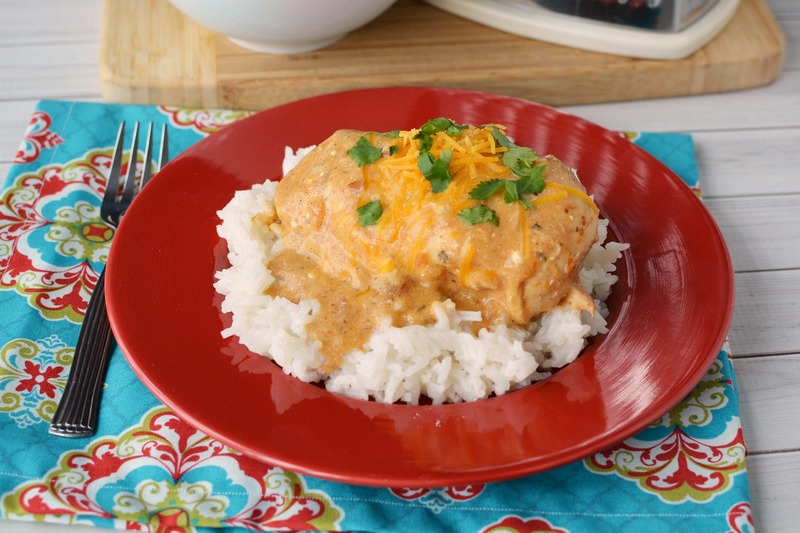 Serve Slow Cooker Creamy Salsa Chicken with cilantro and shredded cheese garnish over rice with salad or veggies. To Freeze & Thaw: add all ingredients in the first step to a freezer safe bag. Remove as much air as possible, seal and label. Put baggie in the freezer and freeze up to 6 months in fridge freezer or 12 months in a deep freezer. Thaw in the fridge overnight, or a warm bowl of water for about 20 minutes, before transferring to the slow cooker and cooking on low for 8 hours. Stir in the sour cream at the end of the cooking cycle as directed above. This recipe is featured on SouthernPlate.com’s Meal Plan Monday #75. Looks amazing! I am going to have to try this. Looks great! Can this be made with frozen chicken breasts?